A Cooking Class in Évora (Economy and Superior: Cooking Class with a Chef in a Historical Hotel; Deluxe: Cooking Class in an 18th Century Traditional Manor House). A solution for travellers who cannot afford a high price but still expect a good quality tour. Our hand-picked basic accommodations are 3 star hotels or similar. Paying more than standard for better accommodation services to make sure you absolutely have a comfortable trip. You will stay in very good accommodation (4 star, some 3 star high end). Mostly first-class hotels, with impeccable services with personal care (5 star hotels, Pousadas, mixed with very charming rural accommodation in smaller towns where high end hotels might not be available). Perfect choice for having great value for money! You will pick up the rental car at the nearest desk on the first day that you will be driving. You should return it on the second last day at the nearest desk to your hotel. With the rental car you have the freedom of choice of how much to do and see each of the travelling days, allowing you to access some of the hidden gems along the way between each location. We will also book transfers from the airport to the hotel on the day of your arrival and from the hotel to the airport on the day of your departure. Our English Speaking private driver will pick you up at your Hotel, tour with you, and take you back to your hotel. Our driver will ensure you have what you need to make the most of your time. You will be driven on an Air conditioned and very comfortable luxury vehicle. The driver would be at your service about 8 hours per day, within the kilometers and itinerary set. We will also book transfers from the airport to the hotel on the day of your arrival and from the hotel to the airport on the day of your departure.The private driver service costs around 400 Euros to 500 Euros per day. The final price will be calculated based on your specific itinerary. Our English Speaking private driver will pick you up at the train stations and take you to the hotels and vice versa (where service is needed or available). Where there are no trains available, buses will be used as an alternative. We will also book transfers from the airport to the hotel on the day of your arrival and from the hotel to the airport on the day of your departure. A 2 drivers allowance per rental car is included in the quotation given. Other Services included in this price: Travel Consultancy, Customized Itinerary, Pre-programed GPS, Personalized Roadbook, Exclusive Guidebook, Helpline While Travelling, Welcome at the Airport, Private Transfers to/from Hotel on Arrival and Departure, Sunset Sailing Boat and Cooking Class with Meal included. 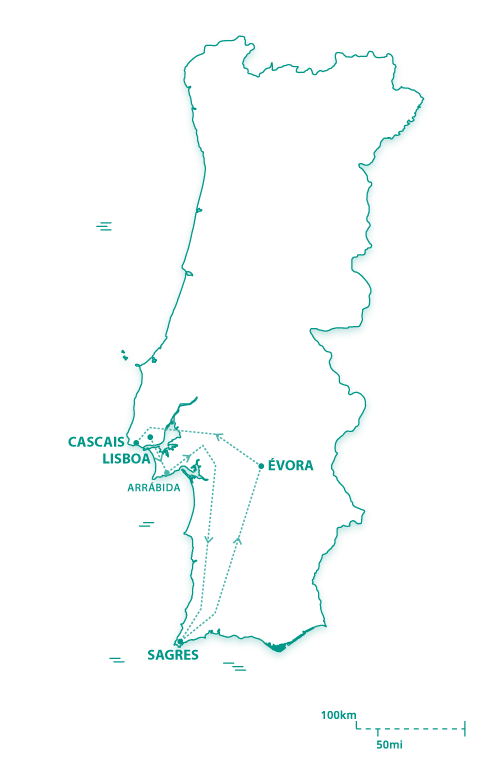 Portugal Trails can get you a better deal based on ourpartner’s discounts. If you are 55 or older, please let us know, and we will apply any available discounts to your tour price. It was not possible to verify your Email Address, please make sure it is correct. Welcome to Portugal! Today our representative will be at Lisbon airport waiting for you holding a sign with your name on it. After delivering you the bag with your customized roadbook, our guidebook and our pre-programmed GPS, they will take you to your hotel. 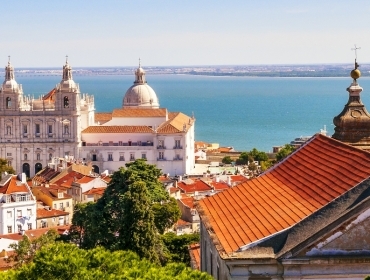 When you get settled in, find the time to stroll down slowly along the history-filled streets of the capital, breathe in the sea breeze and gaze at the stunning multicolored sunset over the water front where the ferries come and go at the end of another glorious day of Lisbon light. Hotel Principe is located in the city centre, between Park Edward VII and the Calouste Gulbenkian Foundation, and it provides all the commodities of a modern equipped hotel. 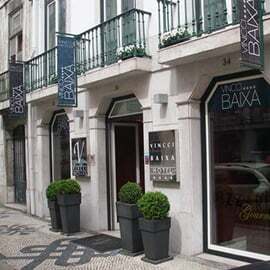 This three star city hotel is very well located, only 4 metro stations away from the historic city centre of Baixa-Chiado, Bairro Alto, Rossio and Restauradores and offers a high level of comfort. 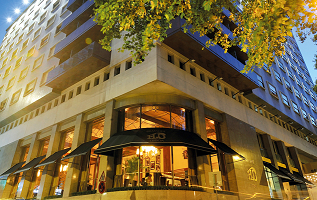 Hotel Lisboa Plaza, situated alongside the most cosmopolitan artery of the capital, Avenida da Liberdade, is a place of shelter right in the heart of the city. 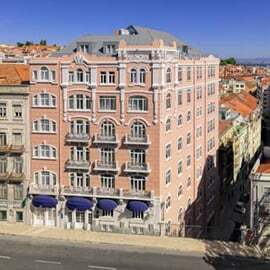 Hotel Lisboa Plaza reconciles modernity and comfort, and reflects the character of Lisbon. 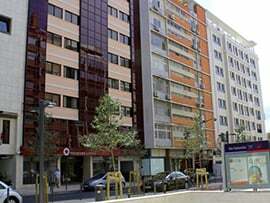 Hotel Lisboa Plaza is only a 2-minute walk from Avenida Metro Station and just 1 Metro stop from Marquês de Pombal Square and Eduardo VII Park. It is also a 5-minute walk to Glória Funicular/Tram. Located less than 60 metres from Duque de Saldanha Square, the 4-star Olissippo Saldanha offers a 24-hour reception and bright, modern rooms. Saldanha Metro Station is a 4-minute walk away. Dating from the 1940’s and designed by the famous Portuguese modernist architect Cassiano Branco, the Hotel Britania is the only hotel of that period to have survived intact. The original Art Deco ambiance has been restored and the hotel is now classified as an historic building. Centrality and tranquility, found in a quiet street just off Lisbon’s main avenue - Avenida da Liberdade. 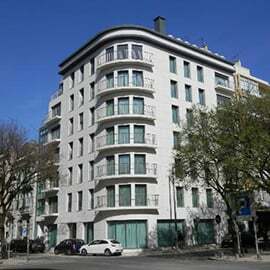 H10 Duque de Loule is located in the heart of Lisbon, 500 metres away from Avenida da Liberdade and it has 89 modern rooms with air conditioning, free wi-fi, coffee machine and safe deposit box. Featuring a bath or shower, private bathroom also comes with a hairdryer and free toiletries. 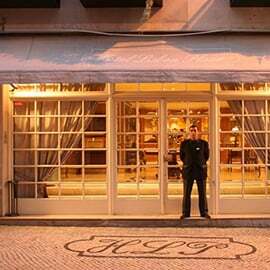 Located in Baixa’s centre, this 4-star hotel is 150 metres from Praça do Comércio’s bus, tram and metro links. It has an elegant restaurant and a bar. Free Wi-Fi is available. 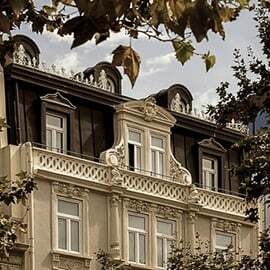 Heritage Av Liberdade is a small Luxury Boutique hotel in the historic center of Lisbon. 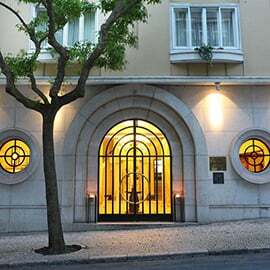 Located on Lisbon's main avenue - Avenida da Liberdade - this 18th Century Townhouse is decorated by the Portuguese architect Miguel Câncio Martins - a Portuguese architect who is renowned for his work on mythical spaces like the Thiou and the Buddha Bar in Paris, the Strictly Hush in London and the Man Ray in New York. Located in the very centre of Lisbon, Pousada de Lisboa - Small Luxury Hotels of the World offers an indoor pool and elegant accommodation with free WiFi and an à la carte restaurant. 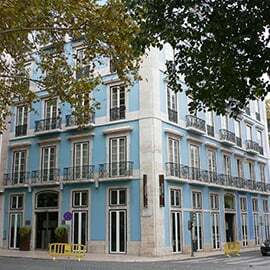 Valverde Boutique Hotel, located right in the middle of Lisbon’s upscale Avenida da Liberdade. The on-site Sitio Valverde Restaurant and Patio offers a daily menu inspired in traditional Portuguese cuisine. In addition, guests can enjoy an afternoon tea or a cocktail in the intimate ambiance of the Patio. 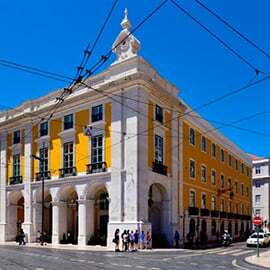 Rossio Square is a 10-minute walk, as well as D. Maria II National Theatre. 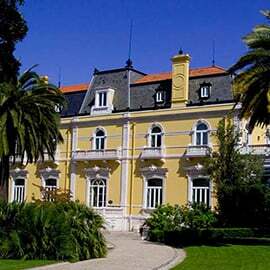 The Pestana Palace, a member of "The Leading Hotels of the World", is one of the best luxury Lisbon hotels. This palace, built in the beginning of the XIX century, is located in a residential area, with a wonderful view over the Tagus River. The Pestana Palace is and its gardens are classified as "National Monument". Overlooking the gardens, the chic, sophisticated restaurant at Pestana Palace Hotel & National Monument serves traditional Portuguese dishes. Belém Tower, 3 km away, while Monastery of Jerónimos is only 2 minutes’ drive. Housed in a 1930s building on Avenida da Liberdade, this 5-star luxury hotel boasts a rooftop bar with panoramic Lisbon views. The carefully appointed rooms have flat-screen TVs with satellite channels and a seating area with velvet seats. It offers an outdoor round pool and 2 restaurants. Enjoy your time in Portugal! How independent is this tour? We guarantee that you will travel independently with this self-guided tour, but always with our support only one phone call away if needed. How will you reach each destination? You will have a pre-programmed GPS with all the locations included on your itinerary as well as written directions and maps as a backup. Wish to further explore the highlights? Totally understandable, it is easy to fall in love around here. We can make the necessary arrangements to extend your vacation either if you wish to stay a little longer in that particular stunning location, arrive earlier to become accustomed to the country or if you wish to relax and see more after your tour. If you wish to receive a customized proposal please fill in the form below! Perfect, but you prefer not to drive? No problem either! We are happy to provide pricing for a driver or even designing a different tour using public transportation (train or bus) and or transfers. See one of our Train+Transfer Tour here. Interesting, but not exactly what you are looking for? Portugal Trails can adapt this tour to your expectations, interests and needs or even design a new tailor-made one exclusively for you. If you wish to receive a customized proposal please fill in the form below! 55 years old or older? We have a special discount for you! Some of our partners offer a golden age discount! If you are 55 or older, please let us know and we will apply any available discounts to your tour price! Would you like to look at other options?